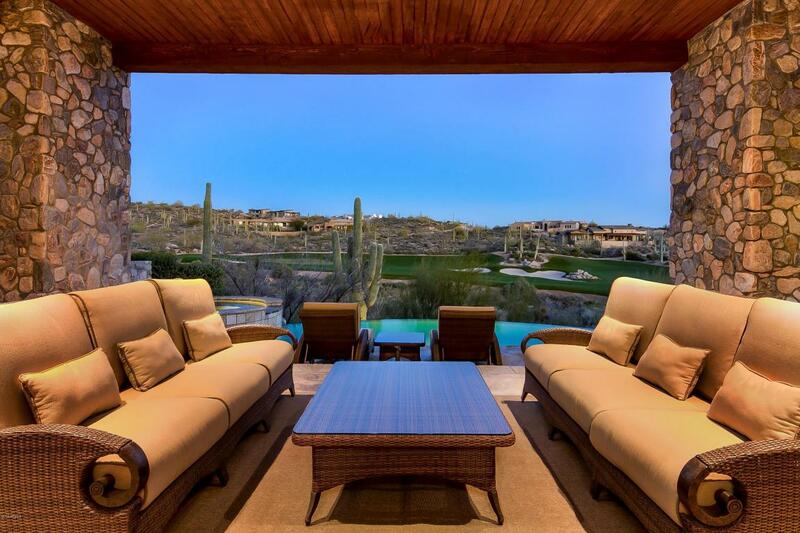 Overlooking the 15th green of the Chiricahua golf course within Desert Mountain's premier Village of Saguaro Forest this exquisite home offers breathtaking golf course, lush Sonoran Desert and mountain views. The 100 year old reclaimed Oak plank floors, Venetian plaster walls, extensive use of marble, granite and flagstone, multiple ceiling details, wrought iron fixtures and doors are a few of the many high quality finishes within the home. Functional floor plan presents the master retreat with fitness room and office in one wing; the great room with large bar, chefs kitchen with eating area as well as formal dining and wine cellar in the center and two additional ensuite bedrooms in the opposite wing. A separate entrance guest quarters with bedroom, kiva fireplace, breakfast bar andfull bath gives privacy to all. Downstairs the authentic theater with a kitchenette and bath offers hours of enjoyment. For outdoor entertainment and relaxation the electric telescoping glass doors blend the indoors with the outdoors. Enjoy the multiple patio spaces, negative edge pool and spa, built in Barbecue, fire pit and sunning, dining and living areas. 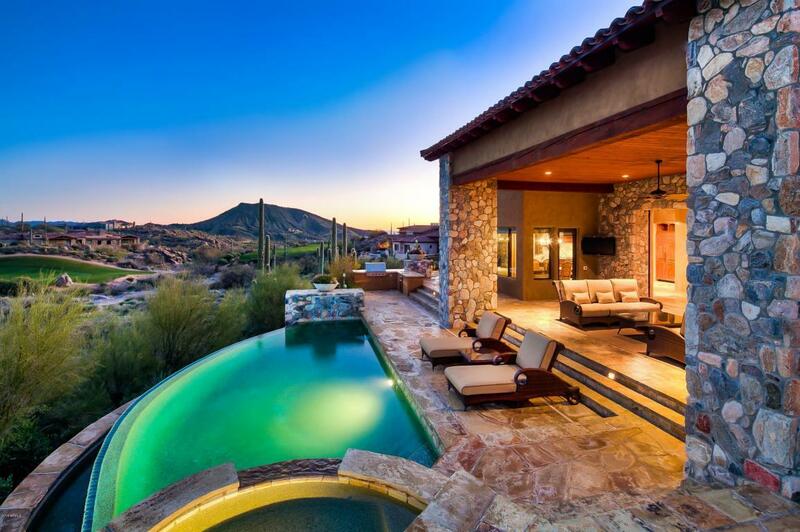 A Desert Mountain Membership is not included in the price but is available through the Desert Mountain Club.